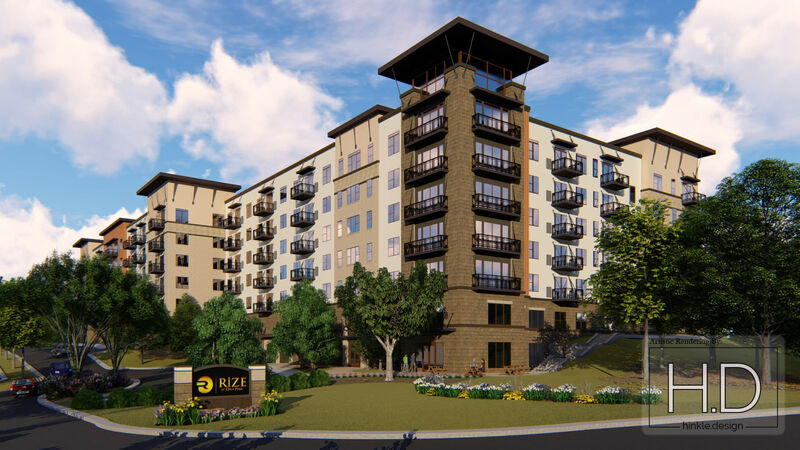 RiZE at Opus Park, a 322 unit Class-A apartment community located in Minnetonka, MN, will consist of generous studio, one bedroom, one bedroom with den, two bedroom and two bedroom with den units averaging 944 square feet. The spacious, open floor plans are designed with high quality finishes including designer kitchens with granite countertops, Energy Star appliances, nine-foot ceilings, and wood-style plank flooring, complete with large walk-in bedroom closets. Additionally, all residences enjoy a large balcony or patio, with select units containing multiple balconies for panoramic views. Plans call for the construction of a single, six-story, wood-frame building built over a concrete podium with an integrated 492-space parking garage. Amenities will include an elaborate clubhouse containing a fitness center complete with a Yoga/CrossFit studio, a club room, a private movie theater, fire pit and lounge areas, an outdoor summer kitchen and two courtyards complete with lush landscaping and an expansive resort-style pool with cabanas. The unique location offers future residents access to over 21,000 jobs within a 5-minute drive and over 180,000 jobs within a 10-minute drive. The Southwest LRT Management Committee also recently approved an extension of the METRO Green Line to extend to Minnetonka with a station situated just ½ mile away from RiZE at Opus Park providing quick and easy access into the urban cores of both Minneapolis and St. Paul. The Opus Park trail system, which runs next to the site of RiZE at Opus Park, also contains over six miles of paved trails connecting Green Circle Park, hotels, commercial space, and office buildings providing residents with recreation and leisure only steps away. 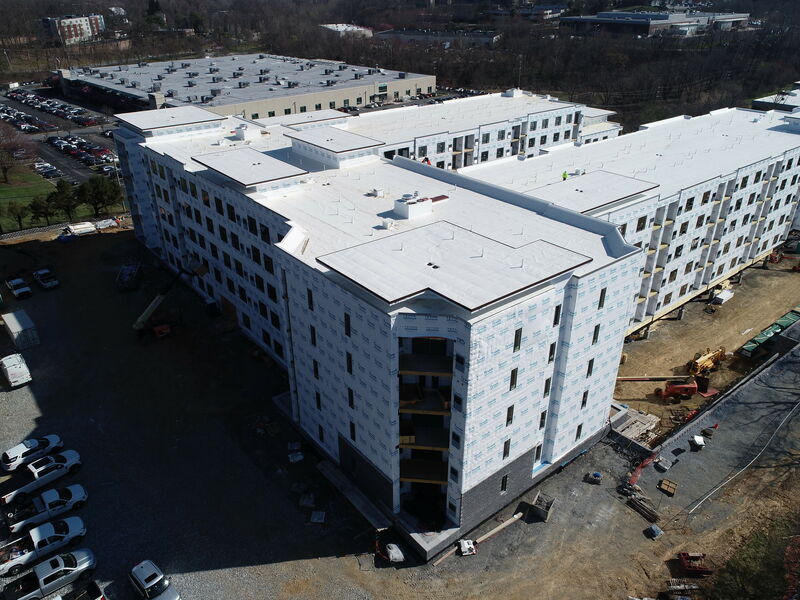 Skye 750 will be a five story wood frame building over two levels of podium on roughly 5.2 acres located in the heart of King of Prussia, Pennsylvania. 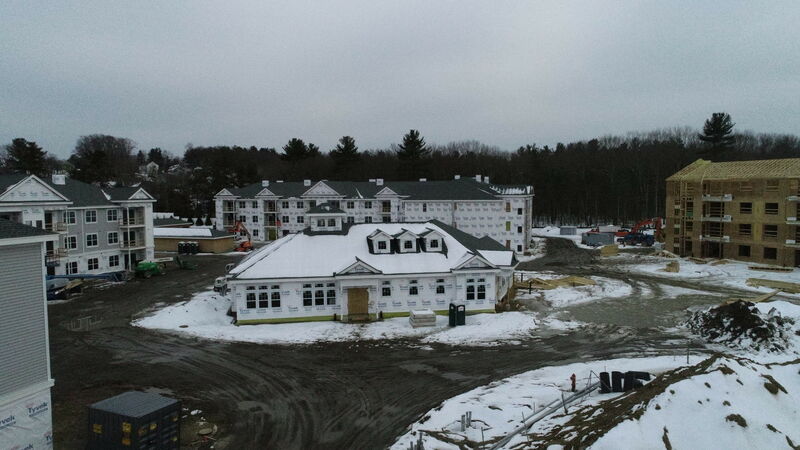 The building will contain a resort-style clubhouse complete with a state of the art fitness center, cyber café, virtual golf, private movie theater and resident lounge. The design of the building provides for an elevated interior courtyard which will feature an expansive pool, upscale poolside cabanas and an outdoor kitchen/dining area. 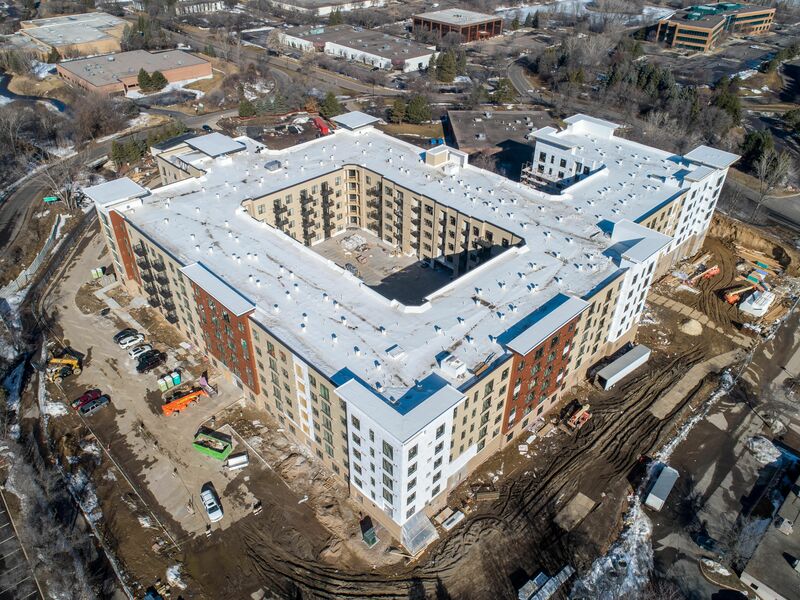 The 248 units will be a combination of 1 and 2 bedroom apartments with an optional den and half-bath and an average size of 951 square feet. Skye 750 will be the market leader in providing a high-end quality of life experience, distinguished by its attention to detail and top-of-the-line finishes throughout the property. The site is situated just off of PA Route 422 in the center of the King of Prussia Business Park and enjoys unparalleled access to employment, retail, leisure, and the entire Philadelphia MSA. 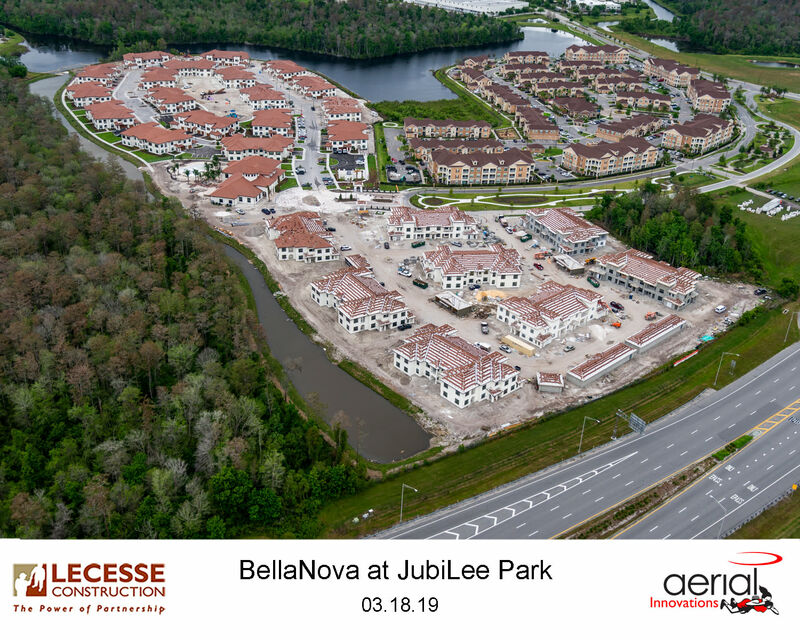 BellaNova at JubiLee Park, in Orlando, FL, will be include twenty-six 2-story apartment buildings totaling 312 apartment units. The units will consist of a mix of 1 bedroom, 1 bedroom with a garage, 2 bedroom, 2 bedroom with a garage and 3 bedroom with and without a garage. 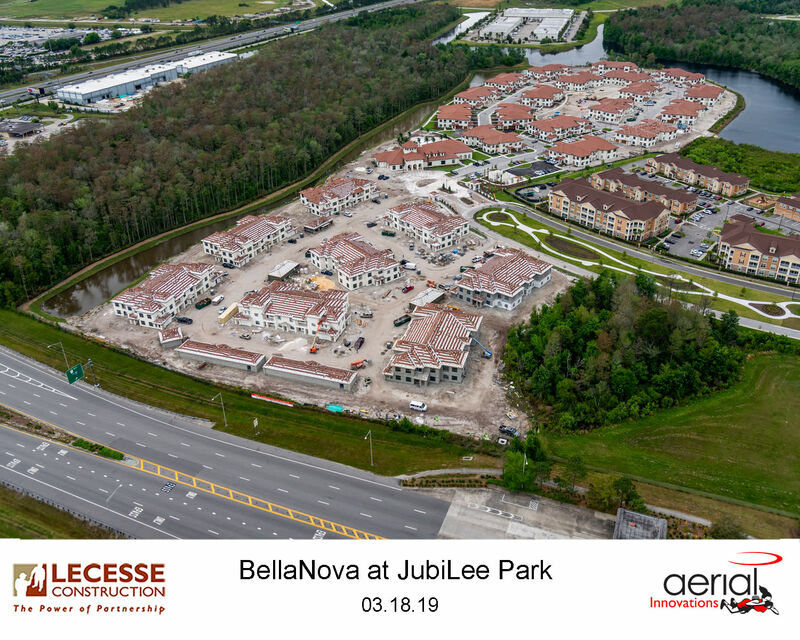 The community will be anchored by a massive over 13,000 square feet clubhouse with an adjacent paver-surrounded swimming pool and summer kitchen. 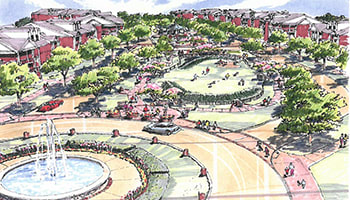 The community will contain lush, green space with a large playground, 4 pocket parks, a perimeter walking trail, and car care area. 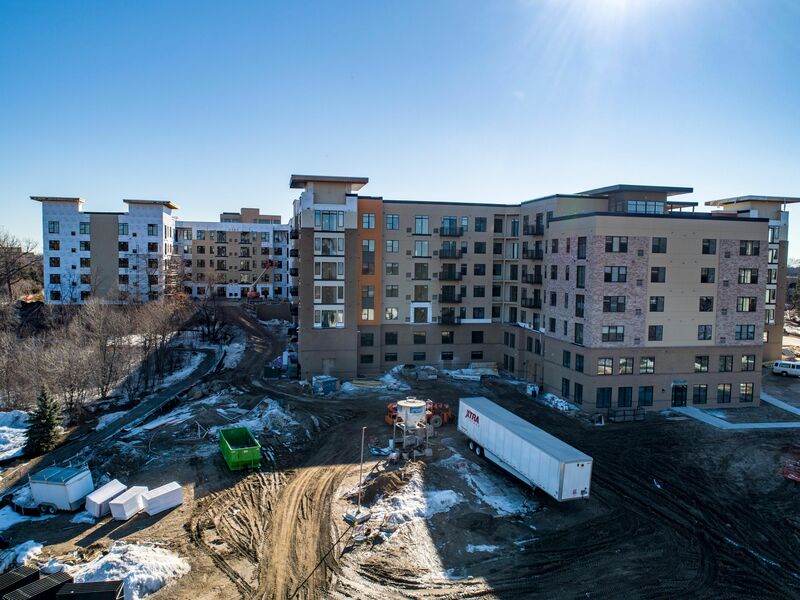 The units, themselves, will contain high-end features including all energy efficient appliances, 36” wood cabinets, granite countertops, 9-foot ceilings, oversized closets, all complete with an in-unit washer and dryer. 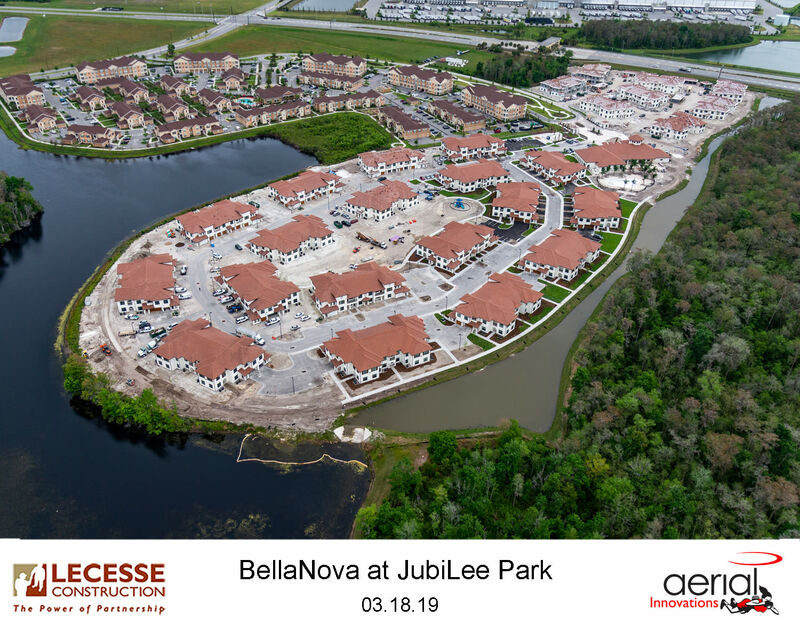 BellaNova at JubiLee Park will exceed the competition with well-designed floor plans and impeccable amenities. 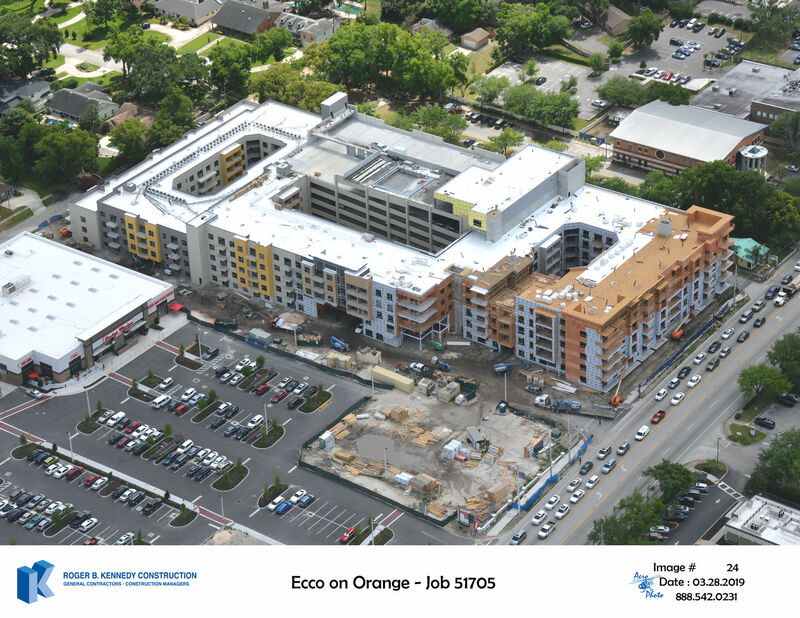 ECCO on Orange, a best in class apartment community located in downtown Orlando, FL is slated to include 300 units in a 6-story residential building surrounded by new retail including a Lucky’s Market, Twistee Treat, Starbucks and more. 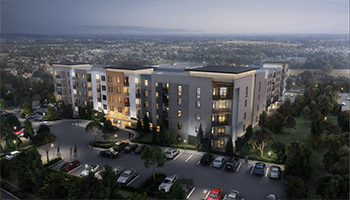 The community will consist of a combination of studio, 1 bedroom, 1 bedroom with den, 2 bedroom, 2 bedroom with den, and 3 bedroom units averaging 911 square feet. 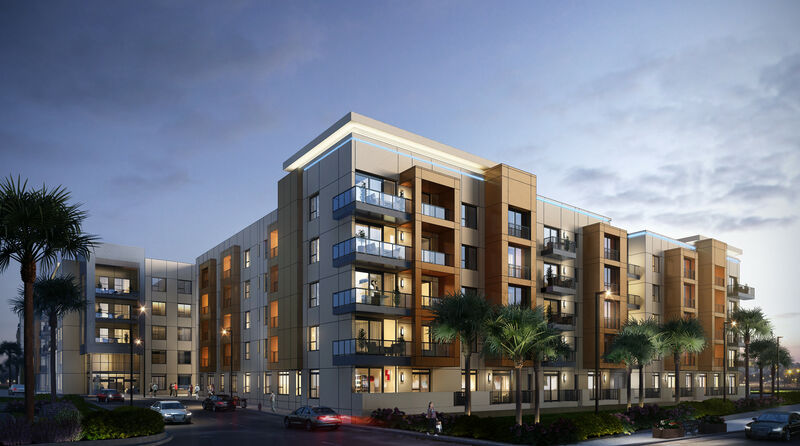 The apartments will feature top of the line finishes including premium granite countertops, custom Italian cabinetry, wood-style flooring, and open floor plans with nine foot ceilings. 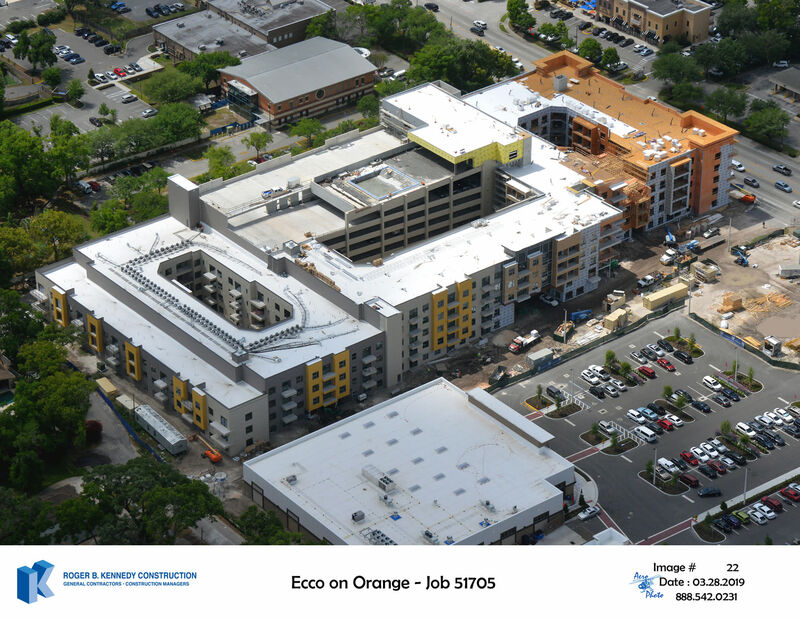 ECCO on Orange will also feature a rooftop community area making it one of the most unique, and desirable apartment communities in the downtown area. 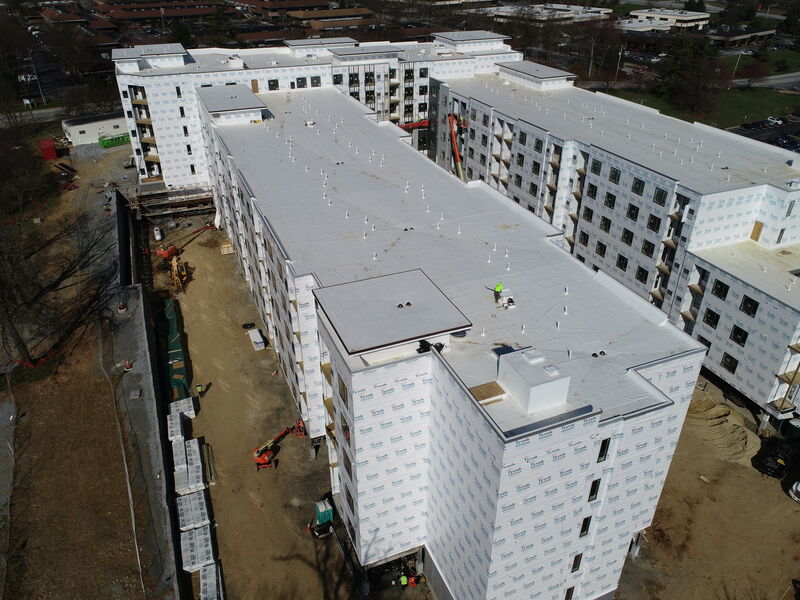 The resort-style rooftop pool, fitness center with yoga and Crossfit, and community lounge/club room will take ECCO to a whole new level of resident amenities. 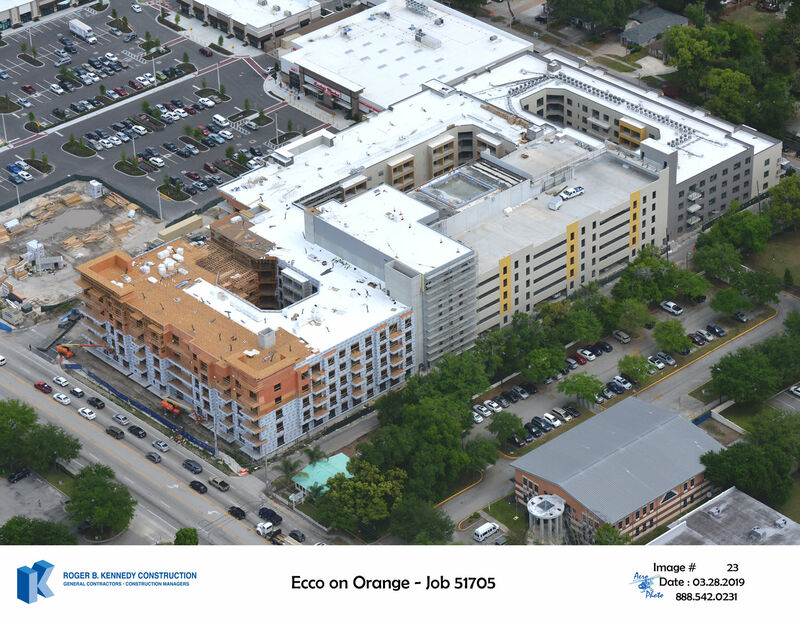 The combination of the modern, spacious units; unbeatable amenity spaces with downtown Orlando skyline views; close to dining and retail; and a location close to many of Orlando’s top employers, ECCO on Orange will provide residents a true sense of home. 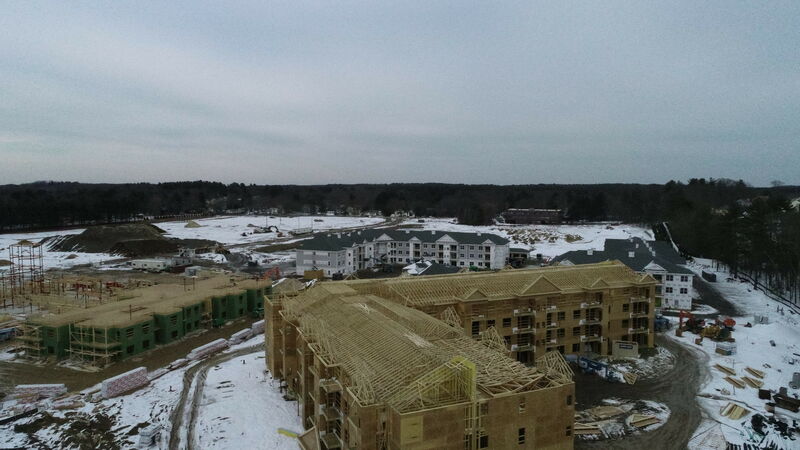 Vue at Maynard Crossing, a 180-unit best in class apartment community located within the mixed-use project, The Shoppes at Maynard Crossing in Maynard, Massachusetts has officially commenced. 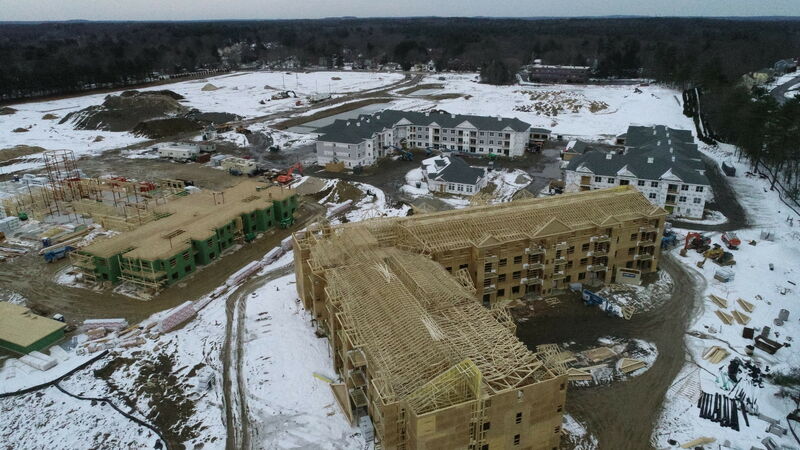 Vue at Maynard Crossing will consist of 1, four-story building and 2, three-story buildings all elevator-serviced and located at 12 Digital Way in Maynard, Massachusetts. The nearly 5,000 S.F. clubhouse will feature a state of the art fitness center complete with a yoga/cycling studio, a cyber café, a juice vending bar and coffee area. 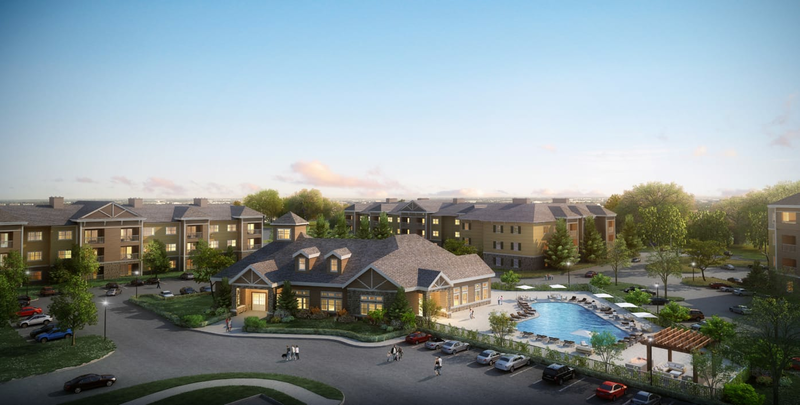 Residents will also enjoy the luxury of having a resort-style pool accompanied by a fire pit and lounge area as well as a summer kitchen.The 180 units will be a combination of 1-bedroom and 2-bedroom units both with and without a den with an average size of 995 A/C S.F. Vue at Maynard Crossing will be the market leader in providing a high-end quality of life experience, distinguished by its open floor plans and attention to detail. 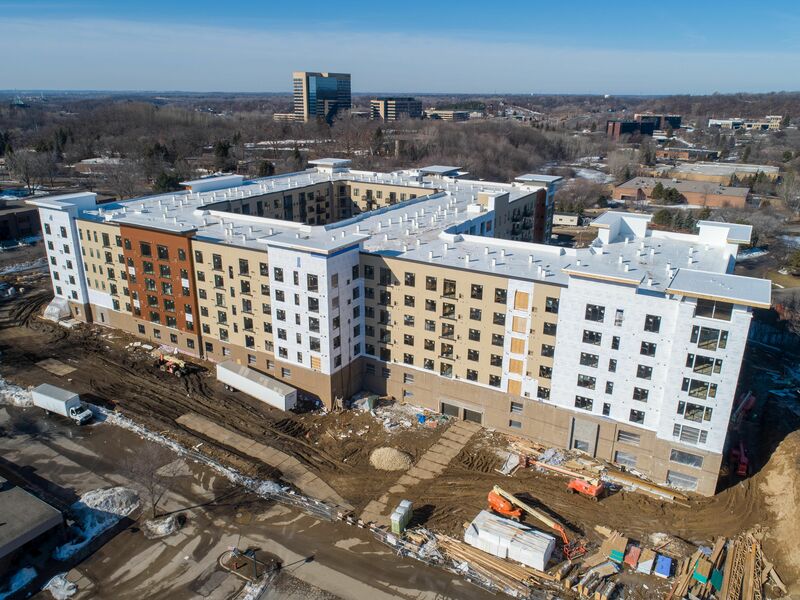 The Shoppes at Maynard Crossing, that is slated to include a Hawthorn Senior Independent Living Facility, 110 Grill, Starbucks, Lux Nails, Supercuts, Planet Fitness, PiNZ Bowling Center and so much more. In addition, the local public schools are connected by a walking path providing younger residents safe, easy access. The sidewalks also provide Vue unparalleled access to local restaurants and stores with the ability to shop, dine, work and play all within a few short steps of their home.